The Carson Freeway Fun Run/Walk today was a lot of fun. There was a huge turnout, with probably thousands of people streaming along the freeway on foot, bikes, skateboards, roller blades, strollers, wagons, and just about anything else with wheels. It’s far too late for me to write anything up tonight, but watch this space for a ton of pictures in the next couple of days. Update: I posted some photos in a Flicker photo set. Go check them out. 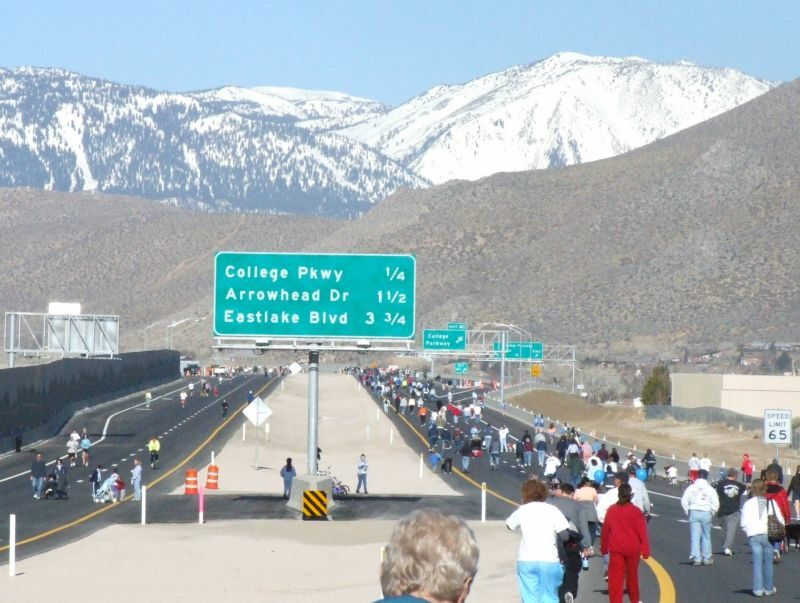 Carson Freeway Fun Run/Walk Carson Freeway To Open Soon Carson City Freeway Fun Walk/Ride Carson City Freeway Freeway Fun Run and Opening Carson City…Fun? This sounds like fun! Are dogs welcome?